Counter-Strike: Global Offensive (csgo / cs: go / CS:GO Prime Status / Counter-Strike: Global Offensive Full Edition) in Steam! About the game: Play the best online shooter in the world. Take part in an incredibly realistic war against terrorists in this popular team game. Act together with teammates to achieve strategic objectives. Destroy the enemy´s strongholds. Release the hostages. Your achievements affect the success of your team. The success of your team´s influence on your achievements. 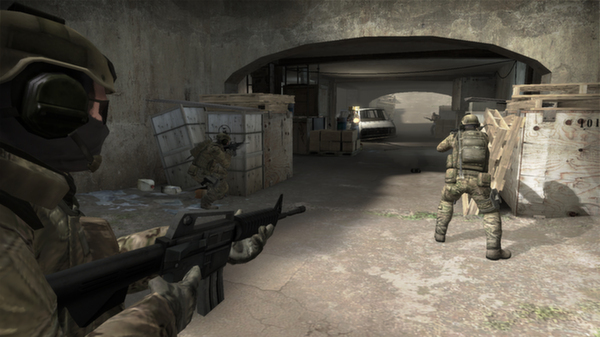 Counter-Strike: Global Offensive (CS: GO) will revive the hurricane team gameplay, first introduced 12 years ago. CS: GO includes new maps, characters and weapons, as well as an improved version of the classical component CS (de_dust, etc.). 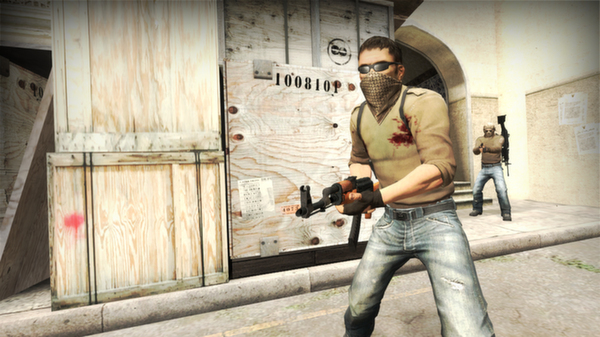 In addition, CS: GO introduces new gameplay modes, matchmaking system, lists of the best players, and more. CS: GO promises to revive the famous game Counter-Strike process and offer its players not only on PCs but also on next-generation consoles and PCs Mac ». WARNING: Gift can not be added to your inventory. Come to the account, which are going to activate the game. If you buy the game for friend, without clicking on the gift-link, copy it and give to a friend. Click on gift-link is necessary only on the account to which you want to activate the game. You can not accept gift on the account, where is already activated CSGO! Carefully check on what account you´re trying to accept the gift. Gift can be accepted and immediately activated, ie, click on the gift-link should be on your account for which you want to activate the game! Note: This product is "old type" "gift and you do not need to have a seller online to accept the game on your account after purchase. At any time of the day, you can accept the game to your steam account by using the purchased gift-link. Отличный продавец, при покупке возникли проблемы с гифтом ( у меня играл уже была на аккаунте, и я не мог гифт добавить в инвентарь ) . Написал продавцу - быстро решили проблему. Рекомендую! Норм, не развод. Мне понравилось. Всё отлично. Купил, оплатил и получил. Все быстро и надежно продавцу огромное спасибо. Всё прошло отлично,всем советую,продавец надёжный! Быстро, надежно, оплачивал картой - пришел моментально!